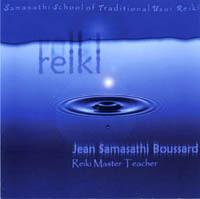 Samasathi School of Esoteric Disciplines’ Spiritual Music is the musical brainchild of Samasathi. Totally original and innovative works, written and arranged with the help of young Electronica Wiz Arthur Moulton . Samasathi expresses gratitude to the One Conscience at the very origin of the Cosmic Energy, the all-powerful tranquil wave which gives birth to the Manifested Creation and all forms of life on this dual World. HEAL YOURSELF WITH REIKI and especially SAMASATHI SUNRISE are marked by Samasathi’s spiritual teachers from Afghanistan, Korea, Japan and Mother India, and in particular, His Holiness the Dalai Lama, Sai Baba, Father Ceyrac. Exotic instrumentation, ethnic songs, environmental sounds and consciousness-lifting words, infused with an amazing heartbeat movement and multi faceted electronica, these two celebrated albums are Samasathi’s musical invitation to advance on the Path of Light. Precise holistic sounds, peaceful mantra chants and Samasathi’s spiritual teaching are combined to deeply impact through their cosmic vibrations on our chakras. The listener is gently carried away to let come and let go, inside a magical sphere of serenity and bliss. Samasathi’s music is a reverential message to free the Inner Child, our lost innocence, and fully enjoy every single instant of this precious life. Order these two CDs for yourself and for your spiritual friends, and, should you know distributors wishing to promote Samasathi’s music, invite them to enquire about special conditions offered (see: “Contact Us” in the Menu). 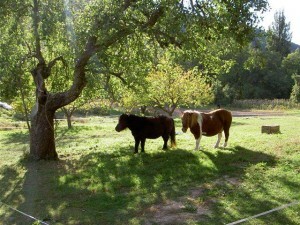 Moving into the wonderful healing space of Reiki, you will give yourself a relaxing and rewarding full-body treatment. This CD’s beautiful soothing music and Samasathi’s voice will produce a deep cleansing effect on your mind, body, emotions and spirit whilst supporting your own healing capacity. Revitalize and harmonize the subtle energy centres in your body, sharpen your inner mind with internal clarity and transform your life for the better. Find a comfortable place, give yourself time, and let Samasathi’s voice guide you through this self-treatment session: hand positions are simple and the crystal sound of a Tibetan gong will signal when to move to the next position. 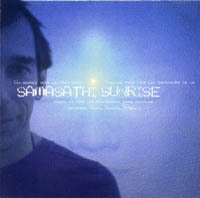 This unique CD of Samasathi offers you 9 different approaches, each one being a true meditation by itself: Samasathi’s voice will guide you as you ascend into a deep meditation and each musical track is a specific gate towards the experience of Unity. Listen to each track as an independent exercise or to the whole CD. You will enjoy this truly creative approach to balancing and harmonizing all your chakras.